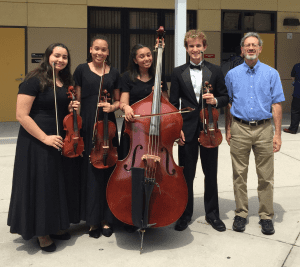 Back in December, students represented the WA Concert Orchestra at the district level. Senior, Taylor Everett, and juniors, Hannah Billings, Alyssa Allen, and Audrey Aguiar joined the Solo and Ensemble Festival. This county‐wide event allows students to perform individually or as an ensemble for adjudication. As a result, the quartet achieved the highest score among participants—a superior rating. With their superior rating, the Westminster Academy String Quartet then performed at the state level this past weekend. They performed excerpts from Rameau and Haydn, and they achieved the second highest possible score—an excellent rating. 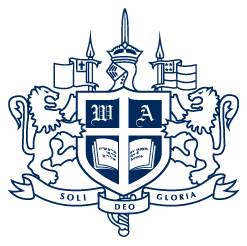 Above all, these four students are the first small ensemble to represent Westminster Academy at the state‐level festival.